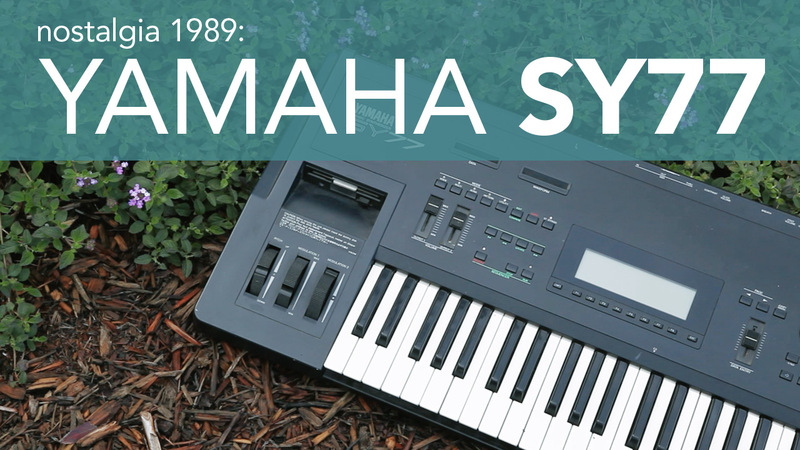 I’ve lusted after the Yamaha SY77 ever since I was a kid, but could never afford one until recently. I just picked this one up on eBay. It’s beat up and a few things are broken, but for $300 it was a steal. I hadn’t thought about this instrument for years—and it’s weird finally being able to play through it considering how much I wanted one as a kid. Demo at the end features Strymon BigSky and Strymon Deco. Signal chain is SY77 » BigSky » Deco. Putting Deco last in chain gives a unique vibe—the Tape Saturation really mellows out the rough edges, and the Doubletracker can add some nice 80s sounding modulation. I didn’t spend any time writing any patches for the SY77—I just used some factory sounds and whatever the previous owner had already saved.